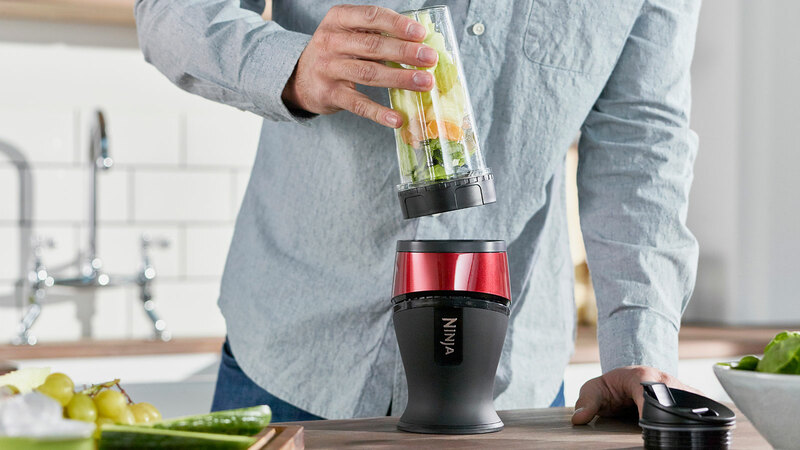 Compact and powerful, pulse and blend your way to super smooth, great-tasting, nutritious drinks and smoothies in seconds. Complete with an Inspiration Guide full of quick, easy and tasty recipes for you to enjoy. 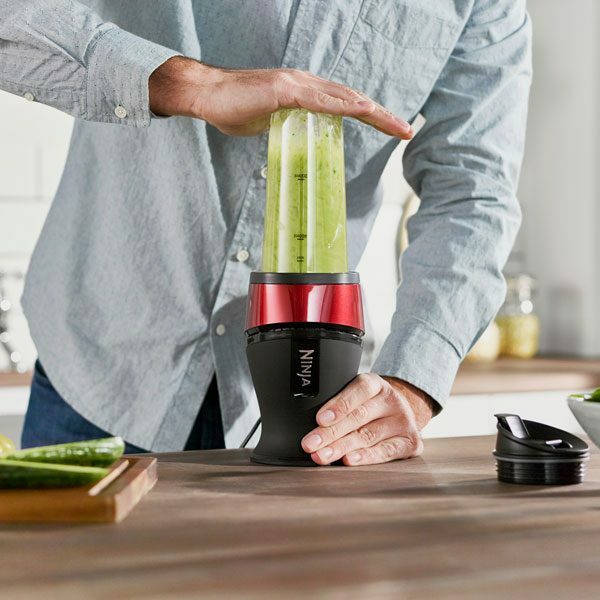 Nutri Ninja Slim Blender & Smoothie Maker 700W – QB3001UKMR – Red has been added to your basket! With Pulse Technology, simply pulse and blend your way to cool, delicious, nutrient and vitamin-rich drinks and smoothies in just seconds. 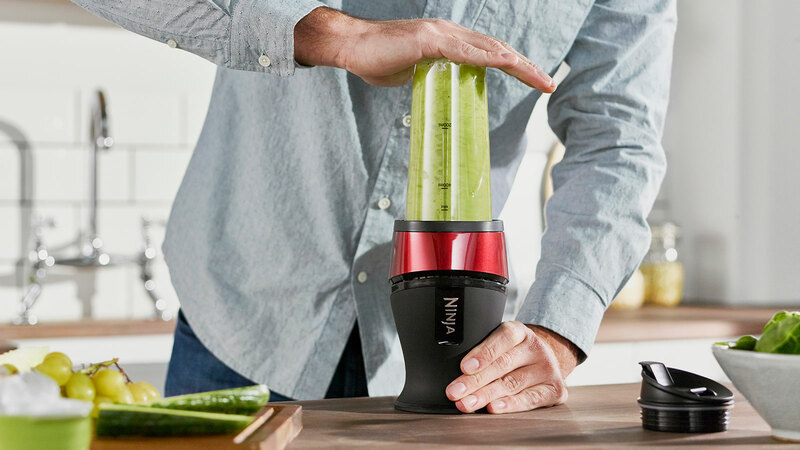 Nutri Ninja makes light work of blending whole fruits and vegetables, nuts and seeds, meaning you get out 100% of the valuable nutrition that you put in. Leave no ingredient unblended and best of all, no waste. A small blender with big taste. 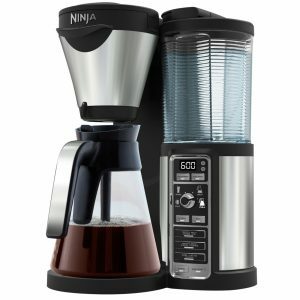 Pulse and blend your way to super smooth, great-tasting drinks and smoothies in seconds. 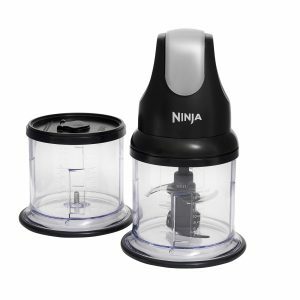 This Nutri Ninja® combines a powerful 700-watt motor and unique Ninja blade formation to break down whole fruits and vegetables and crush ice with ease. 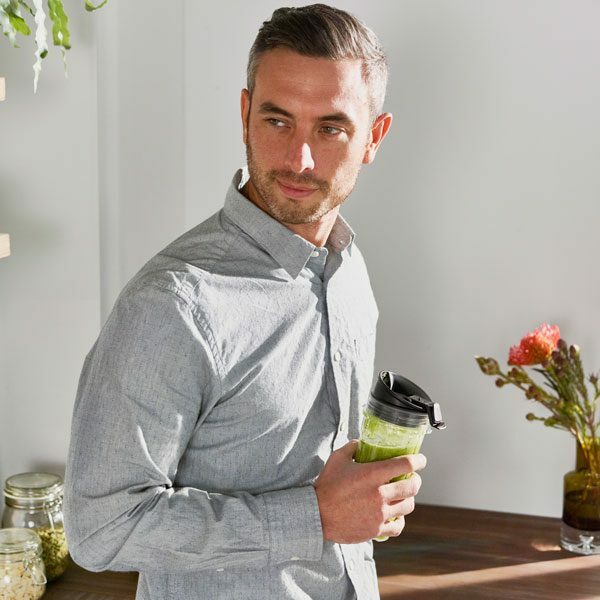 Complete with two BPA-free, dishwasher-safe Tritan® cups and To-Go lids, it’s easy to enjoy your favourite drinks on the move. 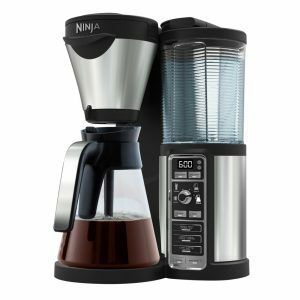 Perfect for making post-gym smoothies, breakfast drinks and protein shakes, this easy-to-use smoothie maker is slim and compact to fit on any kitchen countertop. We love that we’ve created a deliciously nutritious way for you to enjoy more fruits and vegetables. Find out what real people have to say about the Nutri Ninja in the reviews below. 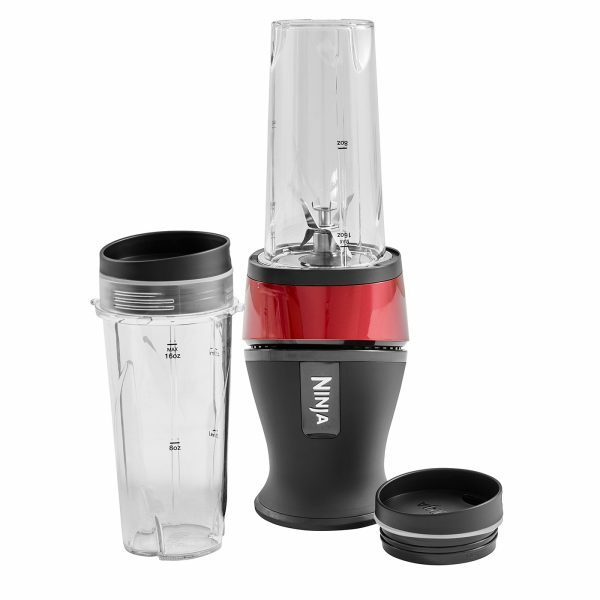 Nutri Ninja Slim Blender & Smoothie Maker 700W – QB3001UKMR – Red is rated 4.9 out of 5 by 24. Rated 5 out of 5 by Bobbiebee from Excellent Buy Great replacement for my ancient MagicBullet and so much faster. Excellent Buy. Worth every penny. Rated 5 out of 5 by dennipatti from Beautiful little machine It's a really beautiful little looker and that's not the best thing about it. It is slim, easy to use even for this elderly woman and it does what it says on the packet or in this case, box. It blends a nice amount of various materials into something smooth and drinkable. The receptacle used to blend becomes a cup which doesn't make you dribble like the larger ones do. Makes it all normal and pleasant. I buy a lot of things to make my irritable me a little less irritating and this one actually works. If I had friends I would buy them all at least one each. I recommend. Rated 5 out of 5 by Megank from Fantastic little machine Wow! I absolutely love this little machine. At first I was dubious as it is so small I thought it would take forever to blend anything but how wrong was I?! Within a few days of getting the machine I had just it for a pancake mix, healthy smoothies, making dips, cooking pastes but more importantly cocktails! It does everything with so much ease. I prepare our breakfast juices the night before with some frozen fruits, veg and ice and leave it in the freezer overnight so it's just a matter of whizzing them up in the morning and it's saves me so much time in the mornings. The handy cups mean we can bring our juices with us on the go. Perhaps the most important thing for me however was how easy the machine was to clean! Everything just unscrews and a simple run under the hot water removes any food from the blades and then I just wipe it with some anti bacterial washing up liquid and rinse. Great product which I would recommend to anyone. Rated 5 out of 5 by sweetelyseuk from A Doddle To Use At the moment we are on a bit of a health kick, we're trying to eat right and get more exercise. Our change of lifestyle has been a long time coming but our main issue was organisation. There have however been two things that have helped us achieve these changes: 1) ASDA home delivery - it's been a godsend. 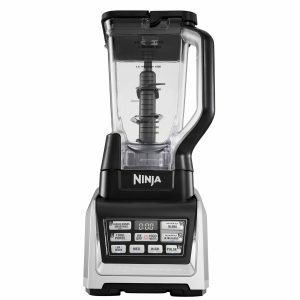 2) The second is our Ninja blender and smoothie maker. Benefits: * Speed. This has a fantastic 700w motor making blending a doddle. * Cleaning. Again previous blenders have promised the world but fallen short because the clean up took too long. This is as simple as cleaning a cup and a lid. * Usability. This is so easy this is to use. 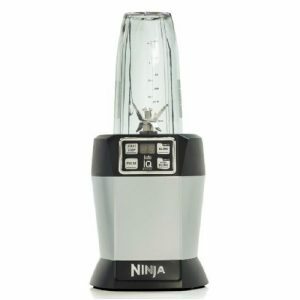 You simply pop in your fruits or veggies, top with a liquid, pop on the blender/smoothie lid and place the cup upside down onto the Ninja machine. To make it work you simply push down the cup and it blends the ingredients to perfection. So far this has been a doddle to use, takes up very little room and is helping us immensely in our pursuit of health and in all honesty, this is a bargain guys. Rated 5 out of 5 by Lisa from Brilliant Blender Really Happy with this product. Sleek design, easy to use and very powerful. 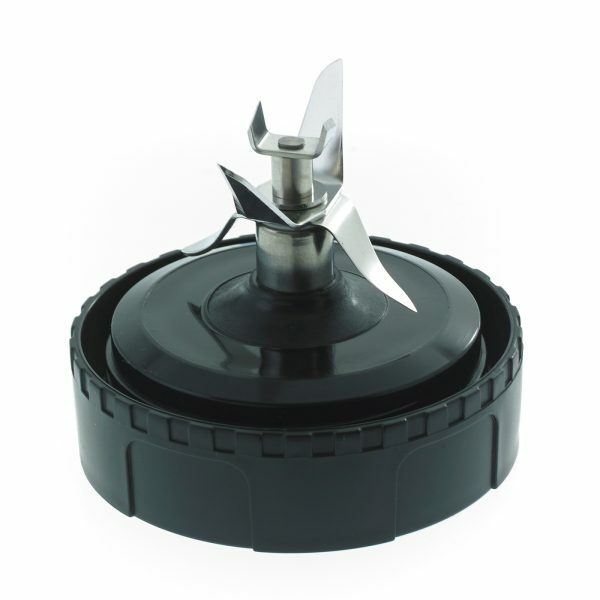 Blends frozen fruit and ice quickly and easily. 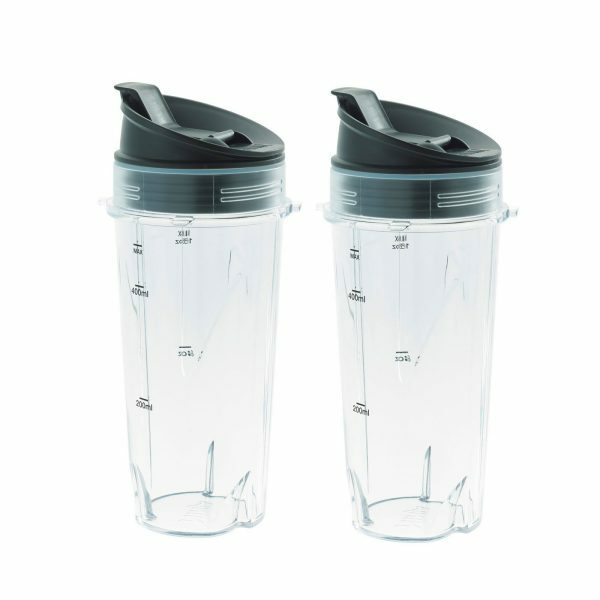 Cup size is perfect, fits in the car cup holder for on the go smoothies. The recipe leaflet that is included has all sorts of different smoothie flavour idea's for everyone. Highly recommend this product. Rated 5 out of 5 by Multiple2miracles Laura A from NUTRI Ninja - amazing find! My twins are now just starting to try solid foods this blender/smoothie maker is ideal, it's lightweight so I actually took it away with me. It's easy to clean and blitz the fruit and vegetables it pulses into tasty healthy food for all of us. I love making smoothies and this is by far so much better than other blenders I've tried in the past and really recommend it to all mummy's to make healthy food for there little ones. Rated 5 out of 5 by Natalie A from A Perfect blender and smoothie maker I absolutely love this blender. It is so easy to use straight out of the box. 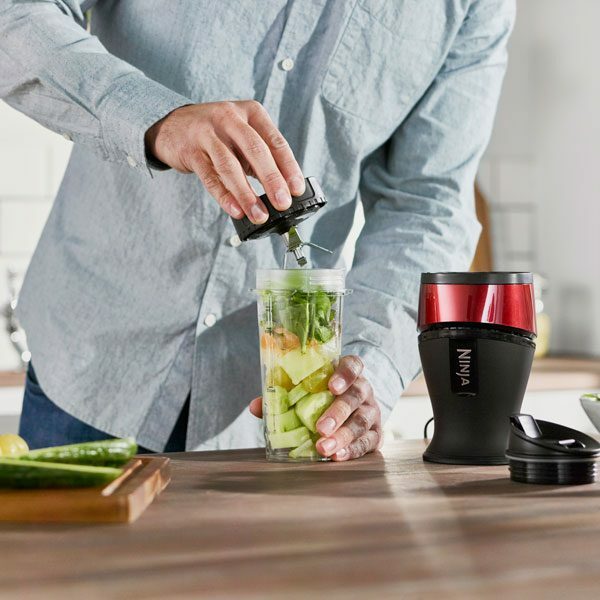 If you are looking for a blender that is gorgeous, sleek to look at and takes up minimal space on your kitchen work surface look no further than the Nutri Ninja. 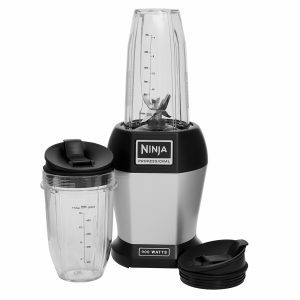 It is very straightforward to use and produces delicious smoothies in seconds. 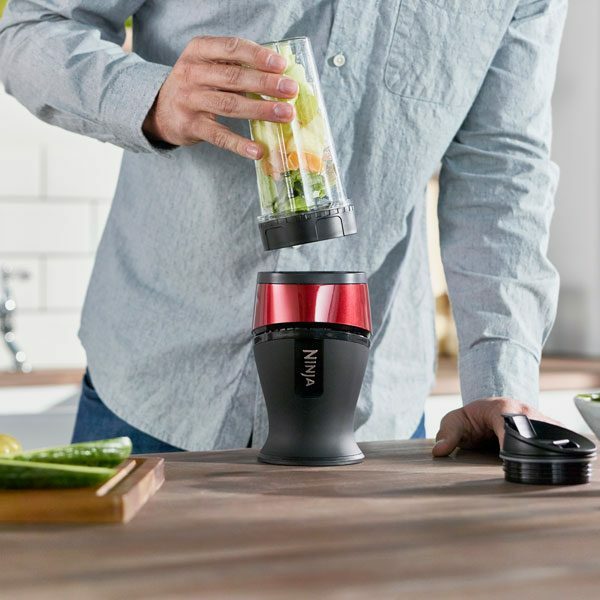 It breaks up ice, seeds, fruits, vegetables and frozen food so easily leaving no lumpy parts in the drinks like other blenders have done in the past. It even comes with an inspirational guide included in the box with some excellent recipe ideas to get you started. The cups are such a good shape too and have measurements in both ounces and millilitres on the side. Another feature that I loved was that the cups fitted so easily in the cup holder in my car. The Nutri Ninja cups are also BPA free and I can enjoy my smoothie 'on the go' too which is great. 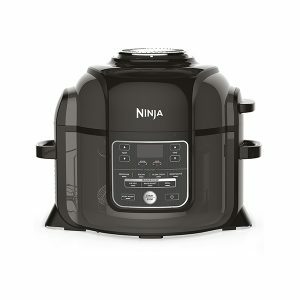 This is an excellent product and great value for money. I would have no hesitation in recommending this product to anyone.